What is your greatest professional success or honor? 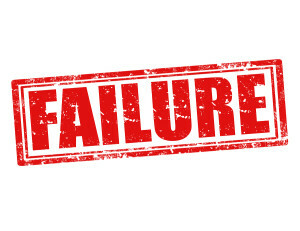 What is your biggest professional failure? If you are comfortable, what is your most profound personal failure? I believe that these are important questions. I do not believe you can be a good leader unless you have failed. Sometimes people fail spectacularly, I know I have. A good leader understands how to keep going in the darkness of adversity, especially when they caused it. Good leaders have learned how to pick themselves up and keep going with that sick feeling of failure in their gut. A good leader can encourage others when the outlook is bleak and nearly hopeless. Adversity and failure are a good source of wisdom. Unfortunately our school systems perpetuate this myth of perfection. Some of the most inflexible, unproductive, and unteachable employees I have had were 4.0 students. This is not a criticism of those students! Top grades are a great achievement, and they should be proud. What it is not, is a badge that means they know more than everyone else. I would argue their education is still incomplete because they have not failed. They do not know what inner strength they might have because they have not faced that embarrassment. I would not go so far as to demean those students, or not have class rankings, but we need to have it in context. As a society we need to stop attaching a stigma to failure, especially for young people. As a young person grows, failing a class or getting fired from a job can be a learning experience more powerful than any classroom lesson. The world, especially the business community, is a complex place. You have to be dynamic and move fast. We need to equip our youth with the ability to recognize failure now and learn from it, not hide it. We need to celebrate that question above, “What did you learn?”. Personally I value teachability and self-awareness along with intellect. Some of the smartest people I have known were some of the least teachable. The wisest and most productive people I have known were simply humble and teachable. Our political system and sensational media also drive this perfection myth. How many candidates in the last presidential election were eliminated because of some scandal or failure. Some of these were real and some were trumped up but the dialog was the same. Can the candidate recover from this? Are they stained beyond hope? This was infuriating to me. I want people in Washington who have had to recover from failure. Our country is failing and we need these people to show us the way. Continuing to send spoiled, silver spoon lawyers that know nothing of personal adversity will not change the result. We do not need perfection in Washington, we need reality. I would encourage parents to incorporate discussion of failure into their dialog with their kids. I would encourage all managers to add it to their dialog with their employees. I would encourage voters to add it to their criteria in assessing candidates. Failure is not only an option, but a necessity to be a valuable member of our society. Can we please start recognizing this?